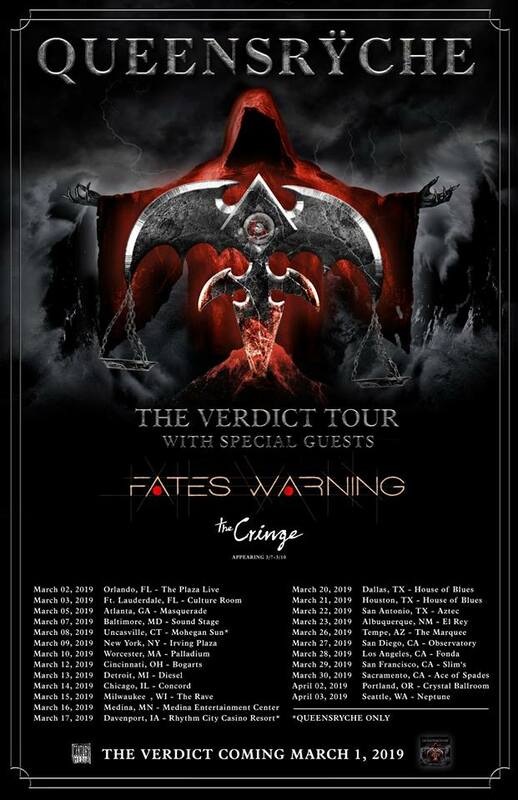 QUEENSRŸCHE ANNOUNCE NEW ALBUM “THE VERDICT” / BAND ANNOUNCES SPRING HEADLINE U.S. TOUR! The Verdict follows the bands most recent release, Condition Hüman, received rave reviews from outlets such as Loudwire, KNAC, About.com, and more. The 2015 release debuted on Billboard’s Top Rock Albums chart at #5 with over 14,000 units sold first week and 100,000 albums sold globally to date. 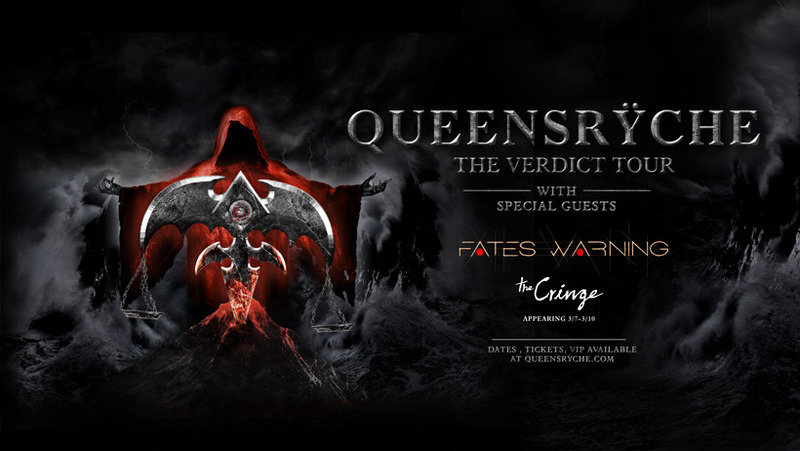 Queensrÿche have secured a triumphant legacy as one of hard rock’s most respected and celebrated acts in the industry, selling over 30 million albums around the world across in the span of their 30-plus year career. 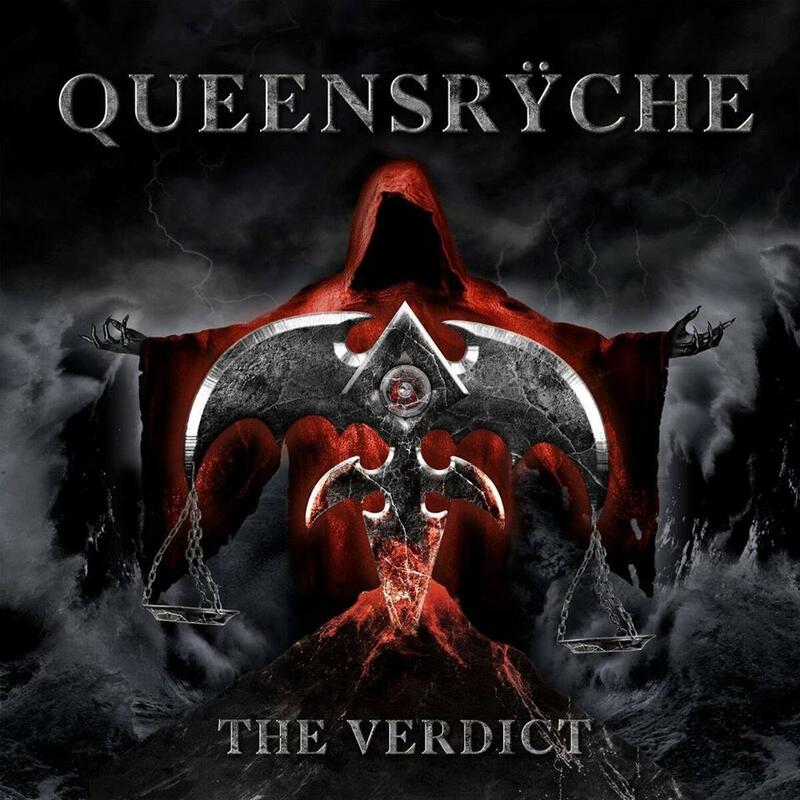 Queensrÿche’s stone cold classic debut full-length, The Warning, and the badass monster sophomore release, Rage for Order, reignited the flames of heavy, progressive, melodic hard rock and metal. With the release of the band’s third album, Operation: Mindcrime, catapulted the band into mainstream success, single-handedly redefining the concept album and charged into the Top 40. A precision collection of near-perfect songs pushed landmark masterpiece Empire to triple platinum. “Silent Lucidity”, off of the fourth LP, earned the band their second and third Grammy nominations, plus five nominations at the MTV Video Music Awards, where Queensrÿche picked up the Viewer’s Choice Award. Following the massive success of Empire, the band released, Promised Land, which entered the charts at #3 and became another platinum selling record. Adding to their successes, Queensryche have dominated Rock Radio with hits like “Jet City Woman”, “Another Rainy Night (Without You)”, “Real World”, “I AM I”, “Bridge”, and “Sign of the Times”. Now, with the band’s 16th full-length album on the way, Queensrÿche is looking to continue to dominate the heavy metal scene. This entry was posted on October 29, 2018 at 1:45 pm and is filed under Hard Rock, Heavy Metal, Metal, Music, music news, news, rock music, world news with tags classic rock, Heavy Metal, metal albums 2019, Metal News, metal odyssey, music news, queensryche. You can follow any responses to this entry through the RSS 2.0 feed. You can leave a response, or trackback from your own site.